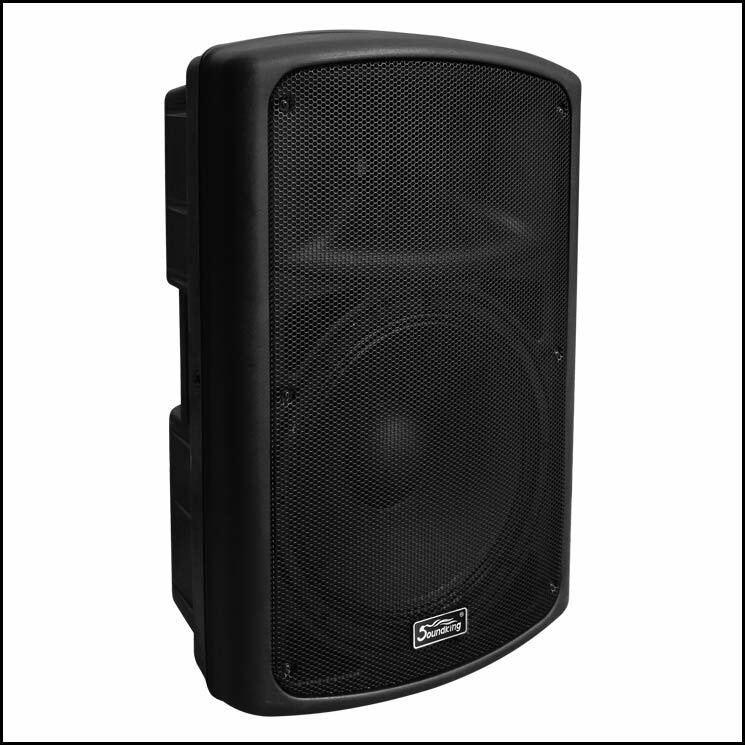 A high quality 15-inch, two-way, powered, portable speaker system. Full bandwidth sound. 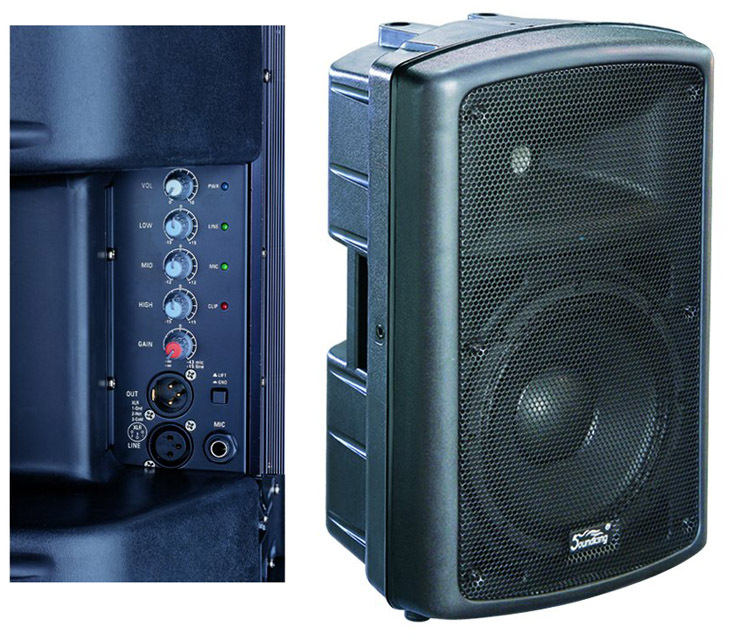 15 inch (381 mm) woofer plus a 1 inch (25.4 mm) high frequency compression driver driven powered by in-built Bi-amp 300w RMS (LF) plus 50w RMS (HF) power amplifiers.